Isaly’s offers a variety of B2B opportunities that can be implemented across many different platforms. 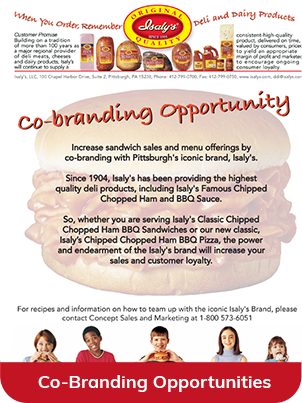 Does your deli want to serve our deli products? 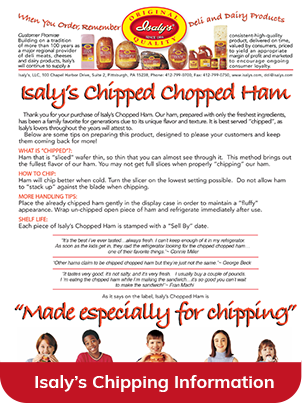 Looking to put Isaly’s Chipped Chopped Ham on a sandwich at your restaurant? Wanting to serve Isaly’s ham barbecues from your team’s concession stand? 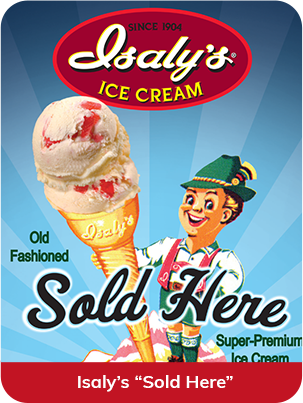 Perhaps you’re interested in serving Isaly’s Super-Premium Ice Cream at your restaurant, venue, or event? See below for more information and use the form below to contact us today. Barbeque Sauce: 140 oz. and 37 oz. Chopped Ham, Pre-Chipped: 2 lbs. The deli items below require a deli slicer. Please use the form below to contact us today about serving our products in your deli. Please use this form to contact us about B2B opportunities.